An architectural masterpiece, the Soho Dining Table offers an impressive addition in a modern or traditional dining room. The dining table includes crisp edges and natural wood veneers that give the piece a rich, elegant appearance. It also consists of composite wood for unparalleled quality and boasts a spacious top. Enjoy a top-notch dining table that is perfect for special occasions and everyday dinners alike � the Soho Dining Table. Available in a variety of stunning finish options. Consists of composite wood for superior quality. 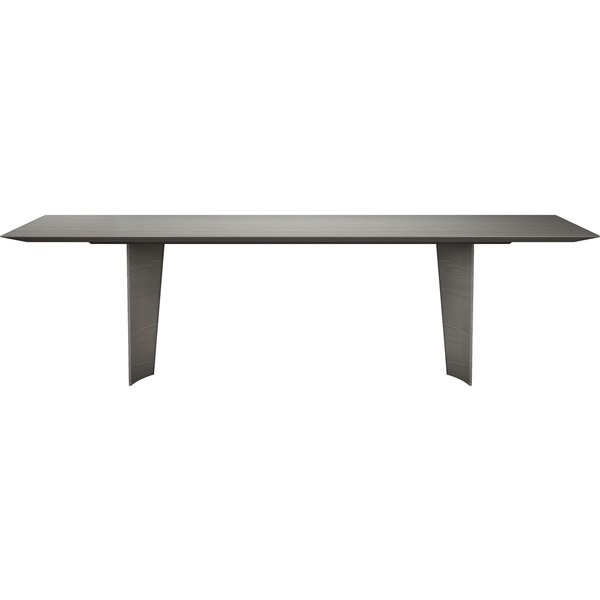 Spacious top makes the dining table an excellent choice for large dinner parties. Crisp edges and natural wood veneers give the dining table a rich, elegant appearance.